the place to be in the 1930s and 40s, the land of opportunity during the Great Depression and a politically tense period in time. For fifteen short years the Photo League thrived in the city. This group of mainly New York raised, Jewish photographers all met together to learn, teach, and discuss photography. The result ended up being an extremely effective machine that gave opportunity to many poor hopefuls and produced many great pieces of photography. So what is the Photo League more specifically? According to the book This Was the Photo League, “It was a membership organization of amateur and professional photographers that was formed in 1936 out of the Film and Photo League” (Tucker, Cass, and Daiter 8). The Photo League was not only a place for photographers to interact but also a place of great learning through classes, project groups, talks from well-known photographers, and more. This organization provided a great deal of opportunity through its cheap services and also through the potential of exposure in exhibitions (Tucker, Cass, and Daiter). Overall, the Photo League helped a large group of people. 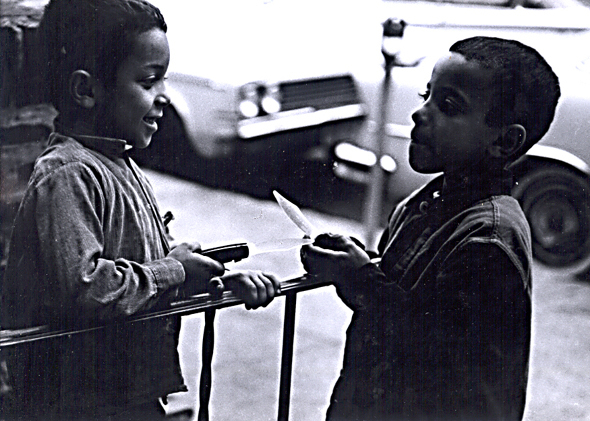 As a whole, the main focus of the group in the Photo League, especially in the earlier years, was the potential for photographs to promote social change. They believed that if taken correctly, photographs could show the right things and evoke the right emotions to propel changes in society’s social structure. Moreover, the league mainly focused on documentary photography. This style of photography, often referred to as “honest photography,” means taking a picture more straight or leaving a picture as it is. There is no manipulation of the photograph afterwards in the dark room, such as with pictorialist photography. As a style overall, documentary photography and promoting social change together led to most of these pictures containing often poor subjects living their normal, daily lives. These photographers were actually documenting the typical lives of the lower class (Tucker, Cass, and Daiter). “It was, critic Elizabeth McCausland explained, ‘an application of photography direct and realistic, dedicated to the profoud and sober chronicling of the external world’ ” (This Was the Photo League, 13). One photographer who was largely involved in documentary photography is Sol Libsohn. Libsohn was not only a documentary photographer himself but was co-founder of the Photo League, with Sid Grossman, and an instructor at the organization (Osman 1027). I believe that this documentary style is very evident in Libsohn’s photographs, especially in the photograph “Tavern.” Libsohn describes the context of this photograph very well in an interview with Gary Saretzky back in 2001. Mr. Saretzky: Now we’re looking at Double Take magazine, Spring 1999, and there’s an essay by Michael Lesy called, “Evening Snapshot, 1945,” with a wonderful photograph by Sol. 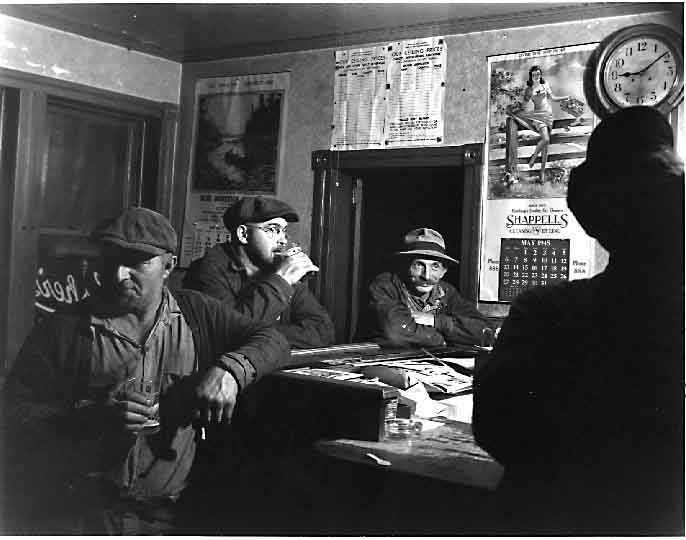 It shows a group of men indoors; looks like one guy is having a beer. Tell me about this photograph. Mr. Libsohn: It’s a casual photograph, but it’s not. Mr. Saretzky: You mean you set it up? Mr. Saretzky: Why were you there? Mr. Libsohn: It’s in a little hotel. I was doing a trucking story and this is where, I was told, the truckers liked to stop. It was in Shartlesville, P.A., which is… I don’t know whether the hotel is still there. It may not be any more but it was right on the main road before they built that main road that goes through Shartlesville. I did several photographs there that I think are equally as interesting, but these were the kinds of things that I thought might be interesting to Roy Stryker; however, I couldn’t figure out how to fit it in any other way. Mr. Libsohn: It was just the most modest hotel and yet the food there… they had these long tables in there with really good… filling, homemade stuff. It’s all touristy now, but at that time it wasn’t (Libsohn). One piece of this interview that should be emphasized is when Libsohn mentions he was doing a trucking story. He stopped in the restaurant to try to capture some photographs of truckers just relaxing in a usual spot. This piece makes it very clear that this is an example of documentary photography. 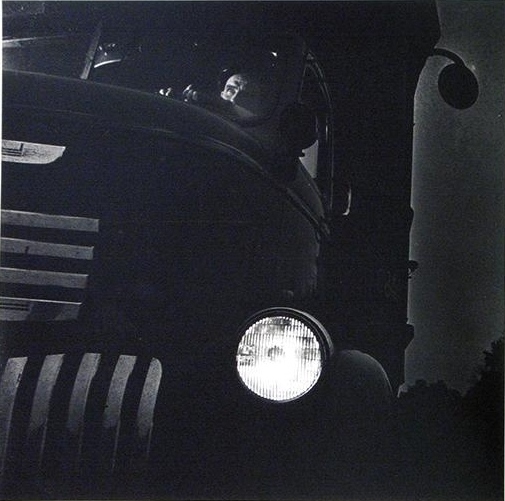 Libsohn’s motive was to capture an image of a daily activity for a trucker in the 1940s. Furthermore, Libsohn calls the picture “a casual photograph, but it’s not.” He is again reiterating that the photo is casual since it it not staged or altered; yet the picture is not casual because there is a reason behind the picture. Libsohn took this photograph to document a trucker’s life and perhaps to also promote social change by showing this lower and working-class citizen. Libsohn also said, “I have other pictures of other people around here. There was something about the atmosphere that really took over. I have a picture of a wonderful little truck and a guy… I used to remember his name” (Libsohn). As a photographer Libsohn was evidently moved by these types of “modest” scenes and thus wanted to document the people and their lives. The aesthetics of “Trucker” also promote the idea of this photograph as documentary. The picture seems to be taken merely from an observation point-of-view. The image was neither posed nor the subjects altered; Libsohn merely snapped the image of the truckers relaxing at one of their usual stops. The image is fairly balanced. The three main subjects are evenly spaced out with a fourth, shadow subject making the four total figures centered and evenly spread across as a whole. This balance and evenness make the picture seem very natural. Additionally, in a cultural context the men’s ordinary clothing and hats, rather than fancy, reveal their membership to the lower and working-classes. This clue again reminds the photographer than these men are not being pictured for some sort of glamour but just because they are typical men during the 1940s living out a typical evening. Socially, there is no real relationship between the subjects and the photographer. They do not know each other and it is unclear if the subjects even know they are being photographed at the moment since none are looking directly at the camera. Even if they are aware, something often possible and visible in documentary photography, none seem to greatly mind since there is a lack of starring at the camera or making disturbed, annoyed faces. This lack of direct relationship again frame the photograph as a documentation. Lastly, there does not appear to be any drastic alterations done to the photograph later on in the dark room to create a more surreal or modern image. In summary, the picture is very easily an example of documentary, “honest” photography. The additional photographs by Libsohn in the slideshow later in this blog further demonstrate his heavily documentary style of photography. Most of his images appear to be some aspect of daily life for a lower-class, typical person of the 1930s or 1940s. For example, the pictures present a baby being fed, people gathering at a glaucoma clinic, people standing on a stairway, a train moving along tracks, etc. Libsohn did not solely photograph Jews but many other locals, such as his ordinary truckers or the baby and his nurse in the additional photo slideshow (#2). His photos do still reveal though to a viewer Libsohn’s view of the modern world. 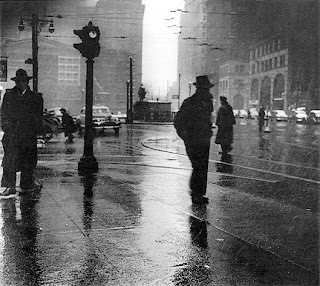 Libsohn must have viewed the modern world of the 20th century as something that needed to be documented and these images of this side of the modern world needed to be spread. He must have felt empathy for these lower-class Americans and probably hoped his photographs could somehow promote social change to improve their well-being. Libsohn’s motivation behind documentary and socially evoking pictures can probably be traced back to his own background as the son of Jewish immigrants. “Sol Libsohn was born in Harlem, New York to immigrant parents from Poland and Russia. He grew up in New York City and was influenced by art at a young age. 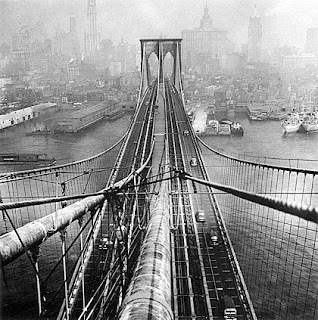 Libsohn fell into photography, a field in which he was self taught; his schooling consisted of night courses at the City College of New York” (Art & Architecture of New Jersey). Thus, Libsohn himself most likely grew up in a poor family. As we discussed in class, most of these documentary photographers did and this led to many unified results. This often created a draw toward photography for these Jewish children because it was a profession full of opportunity and of great access, despite their religion or economic status. These poor backgrounds also made it so the photographers were never looking down on their subjects but were merely capturing the image. Libsohn’s empathy for his fellow lower-class subjects most likely increased his desire to try to help the poor and working-class by promoting social change through his pictures. He wanted his viewers to see the lives of his subjects so they too would feel sympathy and would want to support social change and bettering these peoples’ lives. Furthermore, I think Libsohn’s motivation probably included other reasons in addition to these desires for social change. As mentioned, Libsohn did not just create documentary photographs but also helped create the Photo League and taught many classes there as well. 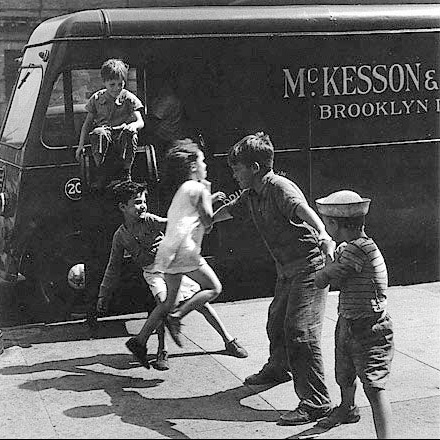 Thus, Libsohn was also trying to promote documentary photography as a style or point of view. By conducting and encouraging documentary photography Libsohn could help others learn about and practice this style. His photographs as examples and his lessons would help other new, young photographers form their point of view for photography and what they themselves wanted to accomplish with their pictures. Thus, Libsohn’s work as a teacher and example could help new aspiring photographers with their work and style development; this likely something Libsohn wanted to help with. Arthur Leipzig was another photographer than was at one point involved in the Photo League. 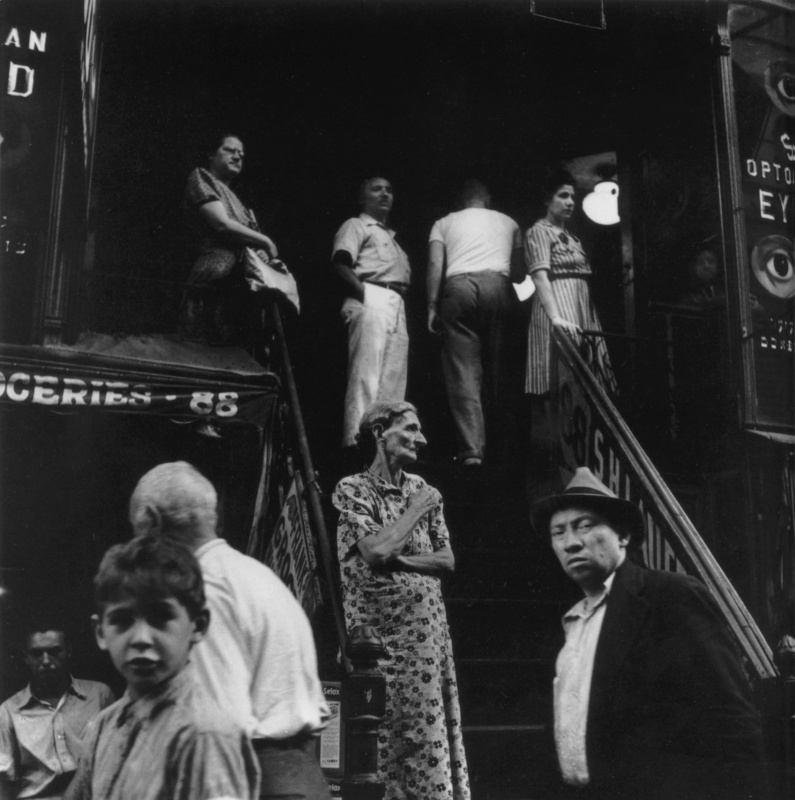 Nonetheless, his photographs appear to have a very different style and point of view than those of Libsohn. According to Colin Osman in Time Square 1940, “Arthur Leipzig, like so many other Photo League veterans was born and brought up in one of the poorer districts of New York, Brooklyn. Although he does not like to use the word documentary he acknowledges that the influence of the League and the classes of Sid Grossman were vital to arousing his interest in photography” (Osman, 1027). This is crucial information for understanding Leipzig’s photographic style and how he wanted to portray the modern world. If Leipzig did not even consider himself entirely documentary then his photographs cannot be looked at by viewers as fully documentary; they can only be looked at to see the influence of documentary photography and his time at the Photo League. Look at, for example, the photograph “Divers, East River.” Someone looking for a hint of documentary photography might argue that the photograph does not appear to have been manipulated in the dark room and that Leipzig was trying to document a typical social activity of youth in New York, such taking a dip in a river. While this may be initially true that Leipzig is recording some typical New York teens having a fun outing, there is much more to the organization of this photograph. If this picture was meant to be precisely documentary it is more likely that Leipzig would have photographed his subjects in ways that made their lower-class status much more obvious, perhaps through more obviously lower-class clothing instead of inconclusive swimsuits. The people probably would have been swimming more naturally, making the photo more candid in style, and the picture would honestly be less beautiful but much more ordinary. This is clearly not the picture Leipzig took. A viewer can look more closely at “Divers, East River” to uncover Leipzig’s truer overall style that only has slight hints of documentation. First of all, it is very likely that this photograph was staged. The perfect lining up of the three swimmers in chronological positions of a dive is almost too perfect to have happened on its own. Secondly, these subjects create a diagonal line right across the middle of the photograph and there is also a rock bordering the left side of the image. These elements bring unnatural shape and lines to the image. Additionally, the people and rock are much darker than the grey, cloudy background of sky, water, and bridge. The cloudiness and dull grey of the background almost give the photograph a surreal quality. All of these elements of the image make the photograph more modernist or surrealist in style. The image is more artistic and planned than those of traditional documentary photographers. “Divers, East River” and many of Leipzig’s other photographs all help to reveal his point of view and photographic style. A multitude of his other photographs similarly and purposely make use of shapes, lines, lighting, and more. For example, “Sleeping Child,” unlike Libsohn’s “The Hill District: Visiting Nurse,” (both seen in the slideshows below as #2) does not just capture a child in 1950 in an ordinary version of seeing a child napping. 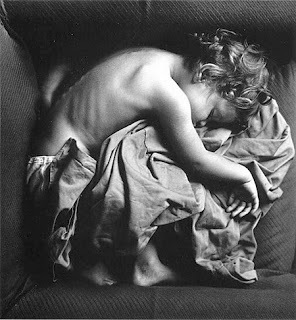 The tight position of the infant, the visible ribs, and the glaring light on the child’s back while surrounded by an indistinct, wrinkled blanket make this image much more modern and planned. Even though Leipzig seems to have followed the documentary tradition of not manipulating a photo later in the dark room he still seems to have altered photos more indirectly by manipulating the aesthetics created. All of these images, then, make a viewer wonder about Leipzig’s motivations since he was very clearly not merely documenting daily life of the modern world. One may find it very strange that Leipzig’s images are so different from the popular documentary style of photography since he shared a very similar background with those that used this style and were also involved in the Photo League. Most all of these documentary, Photo League photographers were Jewish and from poor, European immigrant families themselves, as mentioned; they wanted to evoke emotions and social change by documenting typical life. This is very understandable and not new information. What I want to understand is why Leipzig did not identify as well with this point of view and why his style drifted away, even though he shared this background and did study at the Photo League in 1942 (About Arthur Leipzig). Perhaps Leipzig’s own description of his journey to photography can help answer this question. In class we learned that many of these photographers that came and took classes at the Photo League had an early interest in photography. They became interested often as early as in high school and then with great motivation and probably excitement about the range of possible opportunities they began to pursue this career. This is quite a different journey than that of Leipzig. Leipzig seems to have been much more lost and confused about what he wanted to do with his life. Eventually when he came to photography he loved it but this was almost an accident; he never planned to be a photographer. Leipzig fell in love with photography on a whim and more random chance. Thus, it is no wonder that his photographs are much more expressive than those of the typical, documentary Photo League members. Leipzig’s journey with photography was much more based on personal emotions and growth rather than an early love of the field and a deep plan to pursue the field. Moreover, because Leipzig joined photography more on accident when he joined his first class he probably did not know a great deal of base knowledge about photography. This fact may also contribute to the more experimental and different point of view seen in Leipzig’s pictures. Overall, Leipzig’s style of photography hint at his view of the modern world he was living in. One can speculate his eye did not just see the people around him as subjects to be strictly documented and sympathized for in hopes of social change. He had a much more modern eye and likely saw a potential for creativity and beauty in the shapes and lights of the modern world around him. Perhaps he wanted viewers of his images too see more of the beauty and interesting visuals in the modern world instead of just focusing on the Great Depression or the Cold War. The photographs in the following two slideshows were specifically paired to be viewed together because of similar subject matter. Comparing each of the pairings is meant to clarify, through example, the differences between Libsohn and Leipzig’s styles. The last two photographs I would like to direct your attention to are “The Trucker” and “Red Rover.” The reason I am including these additional images is because in this case the photograph by Libsohn, “The Trucker,” is no longer traditionally documentary. 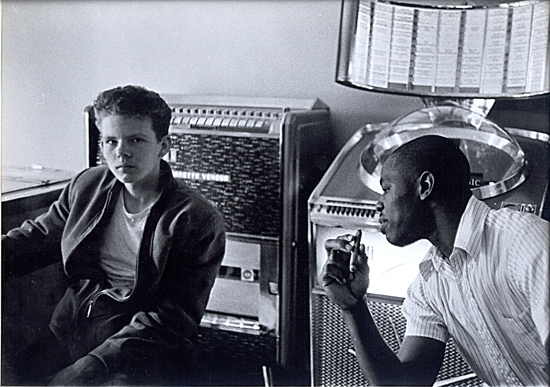 This photograph, discussed in class, was described as much more aesthetic and almost noir in the style. 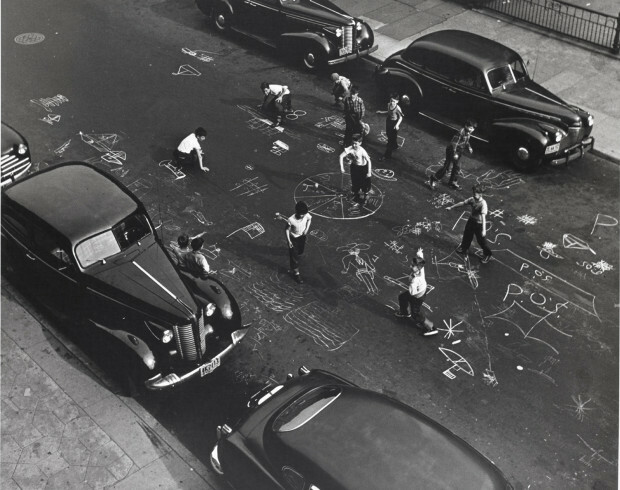 On other hand the photograph by Leipzig, “Red Rover,” appears fairly documentary in style, capturing what appear to be lower-class children at play on an ordinary day. This is an early picture in Leipzig’s career and thus is probably before his later style developed. What these two photographs show is that just as Libsohn and Leipzig’s overall photographic styles vary from each other, one photographer’s style is also not strictly black and white (pun intended). Their points of view can slightly vary or even shift, as Leipzig’s style appears to have done and as the Photo’s League’s style would eventually do toward less social commentary. In general, especially through their choices of profession, both photographers Libsohn and Leipzig give a representation of modern Jewish society during the 1930s and 1940s. They reveal that there were many people in America who were children of poor immigrants from Europe, many of which were Jews from Eastern Europe. Their choices of involvement with the Photo League reveal that in a time of great poverty opportunities like the Photo League were like gold and thus largely used. The organization provided cheap materials, classes, and exhibitions for a large number of people. Moreover, the Photo League and photography were available as professions to these Jewish photographers in a time of growing conflict with antisemitism and political tensions of Jews being affiliated with Communism during the frightening period of the Cold War. Nonetheless, by taking advantage of the opportunities of the Photo League and photography as a whole, through their work these two photographers reveal just some of the greatness that came out of this short-lived, but extremely helpful organization for many Jews. “Arthur Leipzig.” N.p., n.d. Web. 22 Oct. 2013. <http://www.arthurleipzig.com/>. “Growing Up in New York.” Http://www.arthurleipzig.com/. N.p., n.d. Web. 22 Oct. 2013. <http://www.arthurleipzig.com/growintro.html>. “Interview with Sol Libsohn.” Interview by Gary Saretzky. Remembering The 20th Century: An Oral History of Monmouth County. Monmouth County Library System, 28 Jan. 2000. Web. 22 Oct. 2013. <http://www.visitmonmouth.com/oralhistory/bios/LibsohnSol.htm>. Osman, Colin. “Stouman, Elisofon, Grossman.” Creative Camera July 1983: 1026-053. Print. Osman, Colin. “Walter Rosenblum: Interview by Colin Osman.” Creative Camera July 1983: 1019-025. Print. 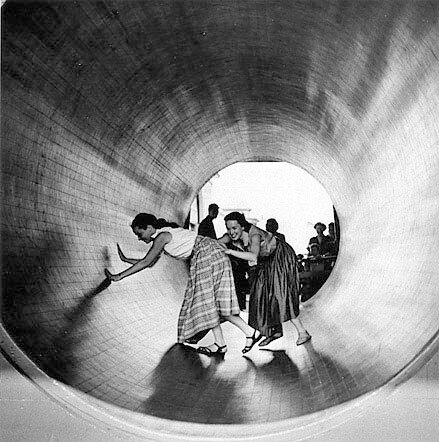 “Sol Libsohn (1914 – 2001).” Art & Architecture of New Jersey. N.p., n.d. Web. 22 Oct. 2013. <http://www.ettc.net/njarts/details.cfm?ID=445>. Tucker, Anne, Claire Cass, and Stephen Daiter. “The Photo League: A Center for Documentary Photography.” This Was the Photo League: Compassion and the Camera from the Depression to the Cold War. Chicago: Stephen Daiter Gallery, 2001. 8-19. Print. Tucker, Anne. “The Photo League.” Creative Camera July 1983: 1013-018. Print. Wenger, Beth S. “Starting Out in the Thirties.” New York Jews and the Great Depression: Uncertain Promise. New Haven: Yale UP, 1996. 54-79. Print. Yochelson, Bonnie. “About Arthur Leipzig.” Http://www.arthurleipzig.com/. N.p., n.d. Web. 22 Oct. 2013. <http://www.arthurleipzig.com/bio.html>. 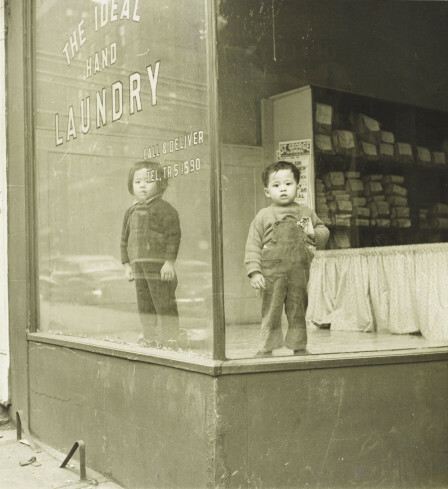 Ordinary Miracles: The Photo League’s New York (Trailer). Prod. Nina Rosenblum and Daniel Allentuck. Perf. Campbell Scott. Youtube. N.p., 24 Apr. 2012. Web. 22 Oct. 2013. <http://www.youtube.com/watch?v=Cmr_L1KVdUY>. Gordy, Roger. 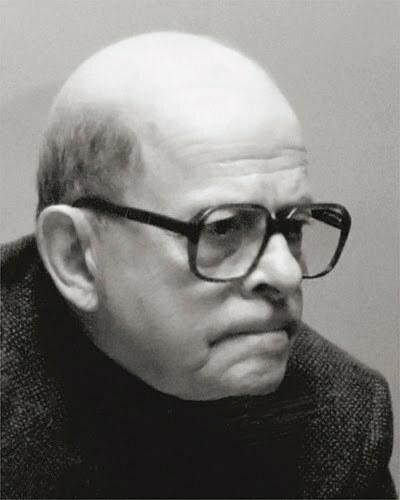 Arthur Leipzig. N.d. Photograph. Masters of Photography. Blogger, 29 Aug. 2012. Web. 22 Oct. 2013. <http://mastersofphotography.blogspot.com/2012/08/arthur-leipzig.html>. Leipzig, Arthur. Brooklyn Bridge. 1946. Photograph. Masters of Photography. Blogger, 1 May 2013. Web. 21 Oct. 2013. <http://mastersofphotography.blogspot.com/>. Leipzig, Arthur. Chalk Games. 1950. Photograph. New York. Time Lightbox. Time, 10 Jan. 2012. Web. 21 Oct. 2013. <http://timelightbox.tumblr.com/post/15620502521/arthur-leipzig-c-arthur-leipzig-chalk-games>. Leipzig, Arthur. 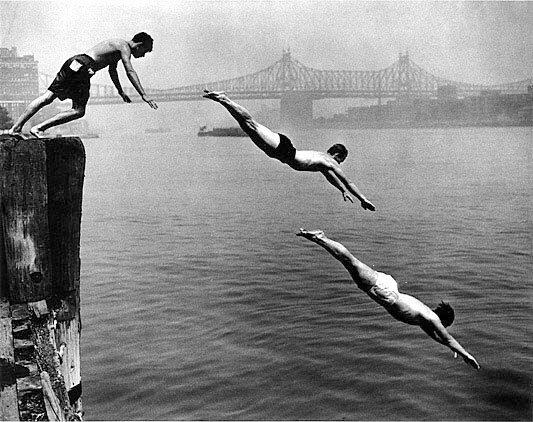 Divers, East River. 1948. Photograph. Masters of Photography. Blogger, 1 May 2013. Web. 21 Oct. 2013. <http://mastersofphotography.blogspot.com/>. Leipzig, Arthur. Ideal Laundry. 1946. Photograph. New York. Time Lightbox. Time, 10 Jan. 2012. Web. 21 Oct. 2013. <http://lightbox.time.com/2012/01/10/the-radical-camera-new-yorks-photo-league/#11>. Leipzig, Arthur. Rain. 1945. Photograph. Masters of Photography. Blogger, 1 May 2013. Web. 21 Oct. 2013. <http://mastersofphotography.blogspot.com/>. Leipzig, Arthur. Red Rover. 1943. Photograph. CTools: History 197 007. 5 Sept. 2010. Web. 21 Oct. 2013. <https://ctools.umich.edu/access/content/group/37c30dc8-b915-4033-afef-528c396dbcf5/Portfolio/Photo%20League%20photos/Leipzig%2C%20rover%20red%20rover%2C%20bklyn%2C%201943%2Cjpg.jpg>. Leipzig, Arthur. Sleeping Child. 1950. Photograph. Masters of Photography. Blogger, 1 May 2013. Web. 21 Oct. 2013. <http://mastersofphotography.blogspot.com/>. Leipzig, Arthur. Turning Barrel. 1952. Photograph. Masters of Photography. Blogger, 1 May 2013. Web. 21 Oct. 2013. <http://mastersofphotography.blogspot.com/>. Libsohn, Sol. Belleplain Project, Newark, NJ. 1964. Photograph. Photocentral. Web. 21 Oct. 2013. <http://www.iphotocentral.com/search/detail.php/128/1/70/7280/1>. Libsohn, Sol. 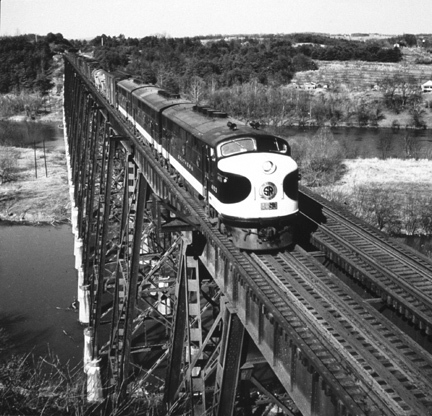 Fast Southbound Freight Crosses James River near Lynchburg, Va. 1945. Photograph. 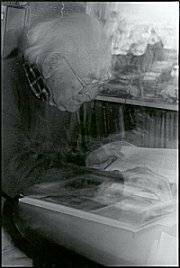 Sol Libsohn: George Eastman House, Still Photograph Archive, Full Catalog Record. George Eastman House, Jan. 2001. Web. 21 Oct. 2013. 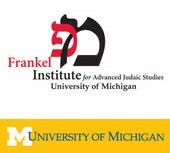 <http://www.geh.org/ne/mismi3/m198004540001_ful.html>. Libsohn, Sol. Hester St. 1938. Photograph. CTools: History 197 007. 5 Sept. 2010. Web. 21 Oct. 2013. <https://ctools.umich.edu/access/content/group/37c30dc8-b915-4033-afef-528c396dbcf5/Portfolio/Photo%20League%20photos/Libsohn%20-%20Hester%20St.%20_38%20MOD.jpg>. Libsohn, Sol. The Hill District: Visiting Nurse. 1950. Photograph. Carnegie Library of Pittsburgh. Carnegie Library of Pittsburgh. Web. 21 Oct. 2013. <http://www.clpgh.org/exhibit/neighborhoods/hill/hill_n221.html>. Libsohn, Sol. Oakland: Glaucoma Clinic. 1950. Photograph. Carnegie Library of Pittsburgh. Carnegie Library of Pittsburgh. Web. 21 Oct. 2013. <http://www.clpgh.org/exhibit/neighborhoods/oakland/oak_n216.html>. Libsohn, Sol. Tavern. C.1945. Photograph. Interview with Sol Libsohm. Monmouth County Library System, 21 June 2001. Web. 21 Oct. 2013.<file:///C:/Users/Owner/Documents/College/Freshman%20Year/Jewish%20Photographers/for%2010.23.13/Sol%20Libsohn%20interview.htm>. Libsohn, Sol. The Trucker. 1948. Photograph. IGavel Auctions. IGavel. Web. 21 Oct. 2013. <http://bid.igavelauctions.com/Bidding.taf?_function=detail&Auction_uid1=3122162#Image1>. This is an excellent blog post and comparison of two rather different photographers, Libsohn and Leipzig. Your attention to their biographies and aesthetics, how they overlap at the Photo League and what the Photo League offered young Jewish photographers, reveals important points of contrast and thus complicates the story of the Photo League in useful ways. I very much appreciate the effort and time you invested to compare Libsohn and Leipzig’s photos in the slide show. Your choices are very good and clearly even more could be written about them than you wrote (which is not a criticism, merely an acknowledgement of how rich the comparisons are). Thank you for grouping your sources by category. This is helpful in terms of evaluating where you found your material. I’m glad you used the print sources as well as online materials. I also value the variety of materials you incorporated into this post–not only the slide show but also the video and the two photos of each of the photographers. Your detailed discussion of the initial comparison is thoughtful and pays close attention to differences in documentary style in contrast with a modernist aesthetic perhaps influenced by symbolism. And, the sense that photographers change, is well summarized at the end. Finally, your awareness of how slightly different Jewish backgrounds exerted an influence on Libsohn and Leipzig as well as the profoundly Jewish milieu of the Photo League makes this a most insightful post.